Are you planning an off season or winter trip some place nice for a little extra relaxation? 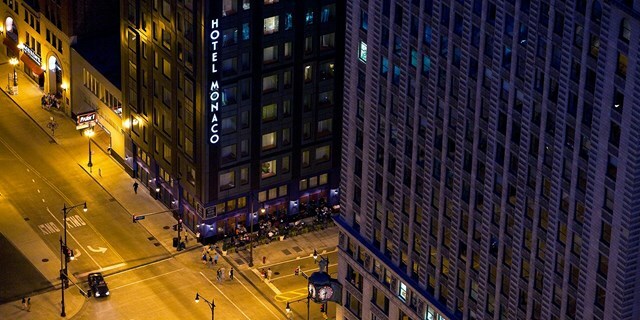 How about an upscale urban getaway with the Monaco Chicago luxury hotel being on sale from $119 per night? If you book the hotel now, you can pay even 40% less than on regular dates. But you should also browse the other travel deals for ideas, there is a Los Angeles to Fiji airfare on Fiji Airlines from $899 r/t, Lake Arrowhead Resort and Spa near LA for $119 a night, a weeklong getaway to the Mayan Riviera from $999 per person. Book your favorite deal before it is gone! Book the Monaco Chicago hotel now and you can get these discounted rates through January 31 2017. This AAA 4-Diamond hotel is only a short walk away from The Loop, the Magnificent Mile and more Chicago attractions. Just a few of the nice perks of Monaco Chicago luxury hotel include welcome gifts for children, animal print robes in the rooms, nightly wine hours, in room yoga mats and more. Check some more Chicago hotel prices via the box and see if you can find something better than we have. This entry was posted on Wednesday, August 31st, 2016 at 9:07 am and is filed under Hotel Deals, Top Deals. You can follow any responses to this entry through the RSS 2.0 feed. You can leave a response, or trackback from your own site.